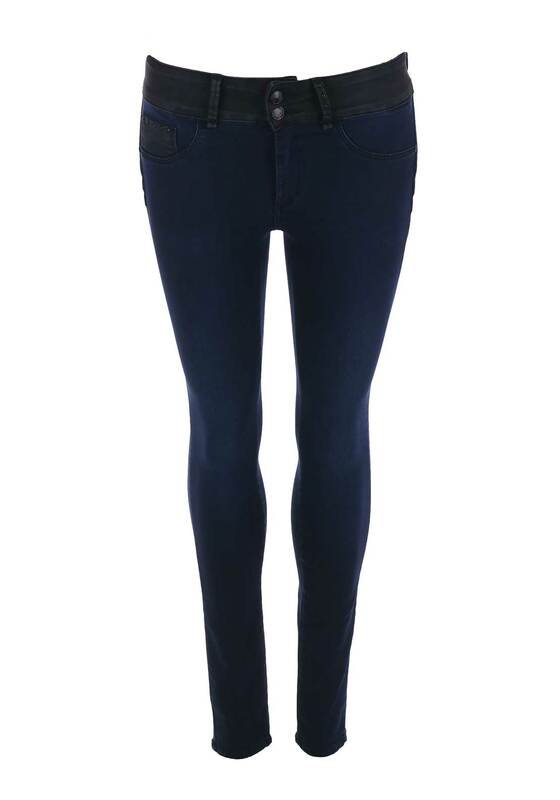 We just love these gorgeous blue denim skinny jeans from Tiffosi in their skinny fit. This one size fits all pair is designed to fit sizes 8 to 14 comfortably and features a high waist to cinch you in and specially designed back pockets which give lift you up. Finished with a double button fastening and Tiffosi branding, contrasting dark denim appears on the waistband, studded belt loops and coin pocket.